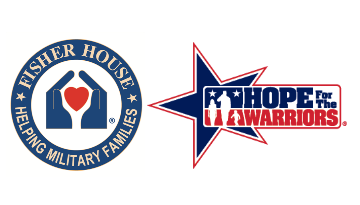 Rockville, MD [January 24, 2019] – Fisher House Foundation today announced it is giving $50,000 in support to Hope For The Warriors to help provide critical aid for Coast Guard families impacted by the government shutdown. Since January 10, Hope For The Warriors has been providing gift cards to help Coast Guards members, who are currently working without pay, to help them pay for essentials. As the government shutdown rages on, Coast Guard members have continued the important work of helping to protect our nation’s security on our waterways despite not getting paid. According to Hope For The Warriors, one mother told them that she was selling things on Craigslist to get money to pay for gas and her utilities. All the families requesting assistance are vetted by the team at Hope For The Warriors to ensure they are eligible, and those with the greatest needs are served first. Gift cards of $100 are being distributed for a family of four or less; $200 for a family of five and are given out based on the family’s specific needs. To apply for support visit www.hopeforthewarriors.org the intake team will reach out as soon as they can. Please have a pay stub or LES readily available. If you want to help support the cause, go to: https://www.classy.org/give/219979/#!/donation/checkout. Your donation is tax deductible. “We hope that the public will join the Fisher House Foundation in their generosity and contribute to our efforts. Together, we are making a difference for these Coast Guard families in need,” added Kelleher.